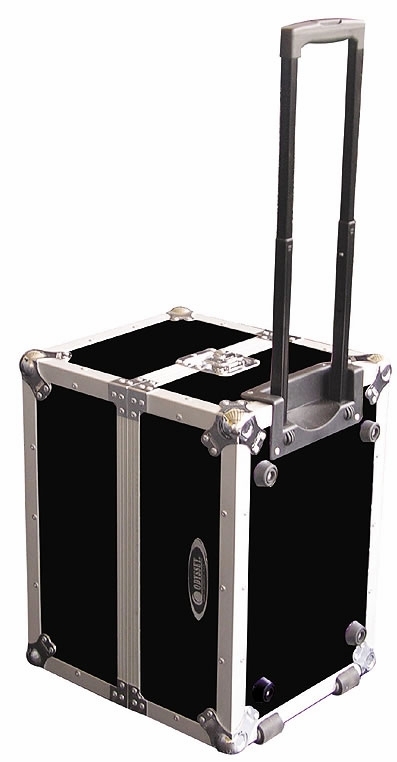 Odyssey FZLP120HW LP Case w/ Wheels DJParts - All Variety of Parts that DJ Needs. This black ATA LP case features recessed wheels and a pull-out extendable handle for smooth, effortless transport. The half-split design allows better viewing of LPs. Heavy-duty ball corners, recessed handles and latches, and 120+ LP capacity.